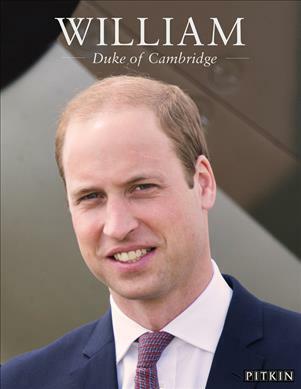 This souvenir biography celebrates the life of Prince William, second in line to the British throne. It showcases photographs as a young child, his years at Eton, gap year abroad and his time at the University of St Andrews. His story explores his adult life where he has shown exceptional dedication to his royal duties, charity and the military. In recent years the world has watched him marry his university sweetheart and become a most devoted father and husband. His wedding to Catherine Middleton in 2011 was not only the most joyful and prestigious social event of the year but also a celebration of genuine true love. The future king and queen have become the image of a thoroughly modern monarchy. With the Queen as a role model, Prince William has taken on royal duties with dignity and confidence, flourishing into a strong and sensitive future king that our nation are extremely proud of. This insightful guide reflects on Prince William's journey so far, and looks forward to what the future holds. Halima Sadat is an expert author and editor with a wealth of experience in journalism and biography. She has worked for Trinity Mirror and award-winning magazine Horse&Rider. Since joining the Pitkin heritage team, Halima has turned her focus to the Royal Collection series, writing Harry & Meghan: A Royal Engagement, Harry & Meghan: The Royal Wedding Book and the celebratory biography The Queen and Her Family. She has been featured in Hello Magazine, the Daily Express and has been interviewed on BBC News for her commentary on the Royal Family. Gill Knappett is a well-established author with 20 years experience working for publishing houses in finance, education and fully illustrated guidebooks across the Pitkin range. Her Pitkin titles include Catherine Duchess of Cambridge, The Queen and Walk London.